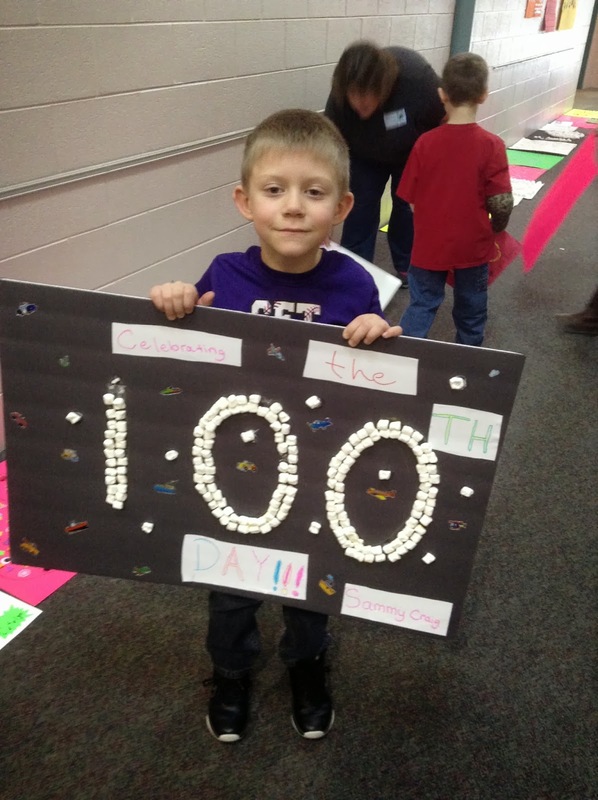 Mrs. Hankinson's Class: Our 100th Day! It's here! 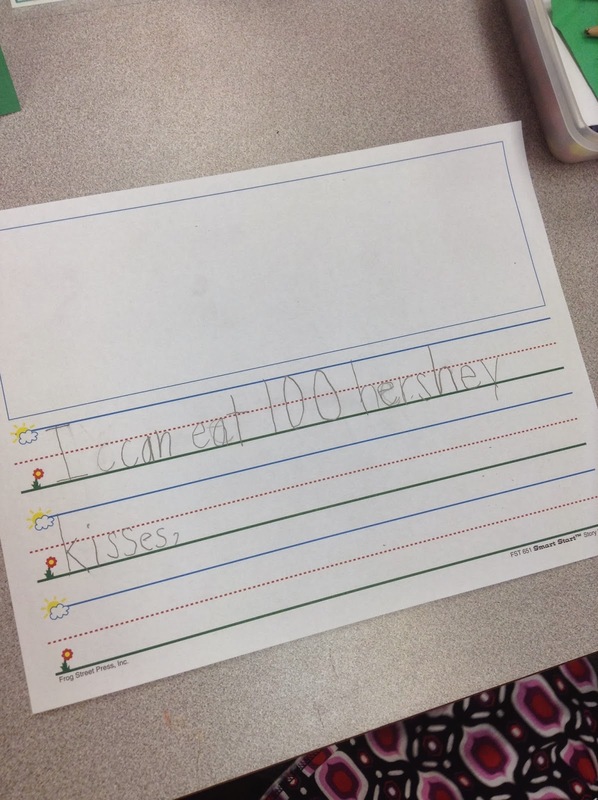 Even with missing 4 days since returning from Christmas break, we celebrated our 100th Day of school! 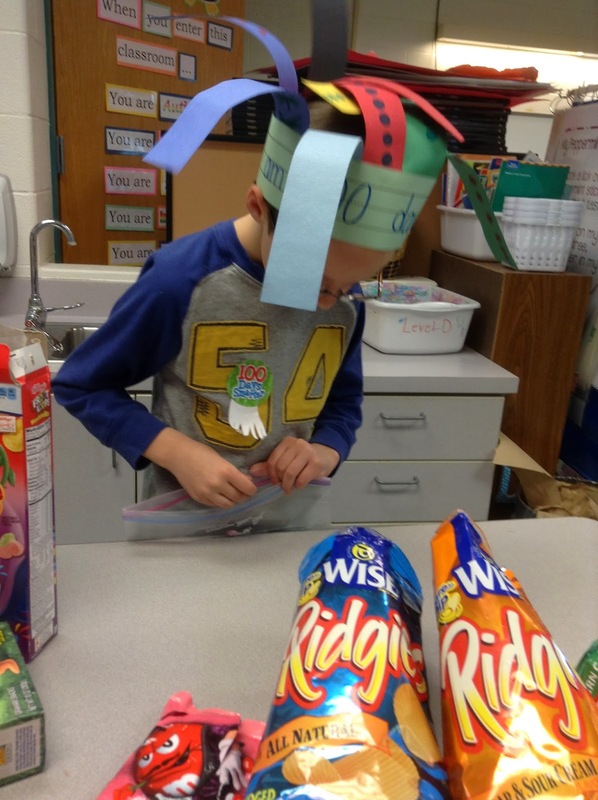 On Tuesday afternoon we started making our hats. Snow had started to fall (and stick!) 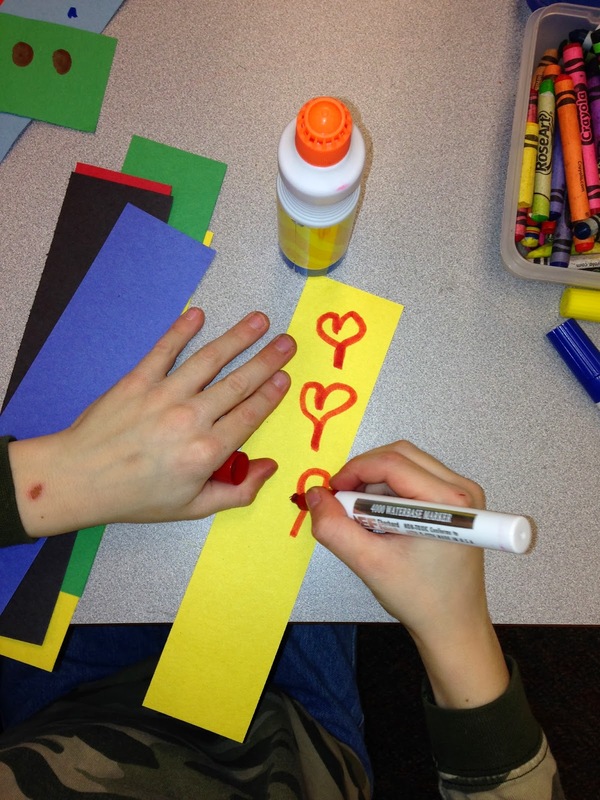 and by the end of the day we had some trouble focusing ... until craft time started! 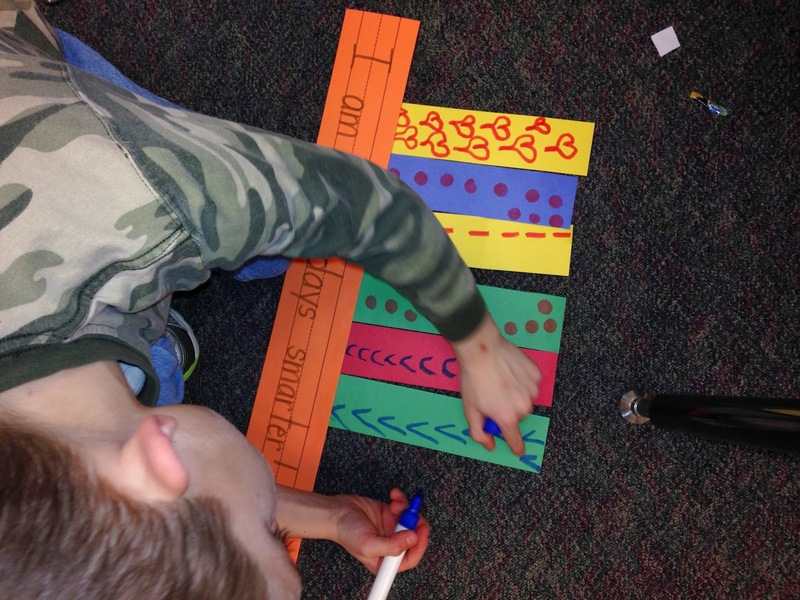 I cut 2 inch strips of construction paper, wrote "I am 100 days smarter" on sentence strips, pulled out stickers, markers, and BINGO dabbers, and let the kids go! We finished the hats up today (missed school yesterday!) 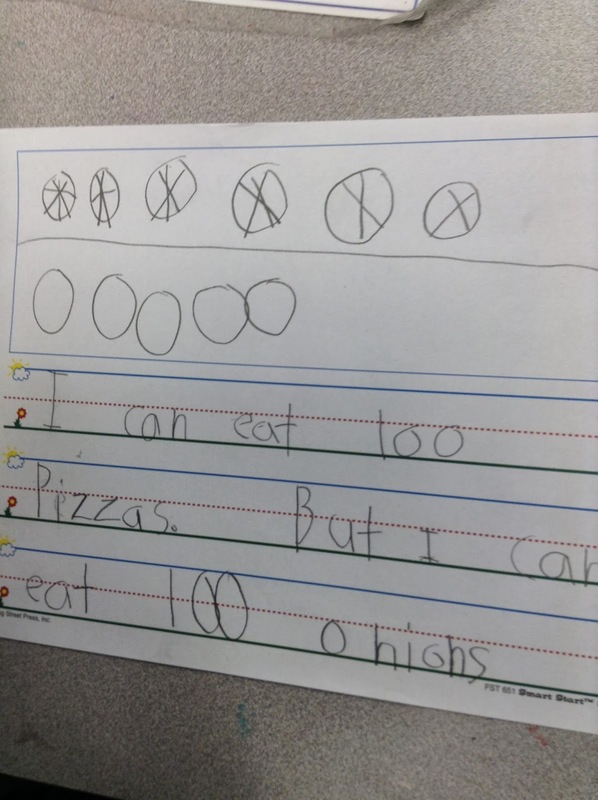 and wrote "I could eat 100 ______, but I couldn't eat 100 ______." Our families sent in snacks. The children picked out 10 sets of 10 of different snacks. 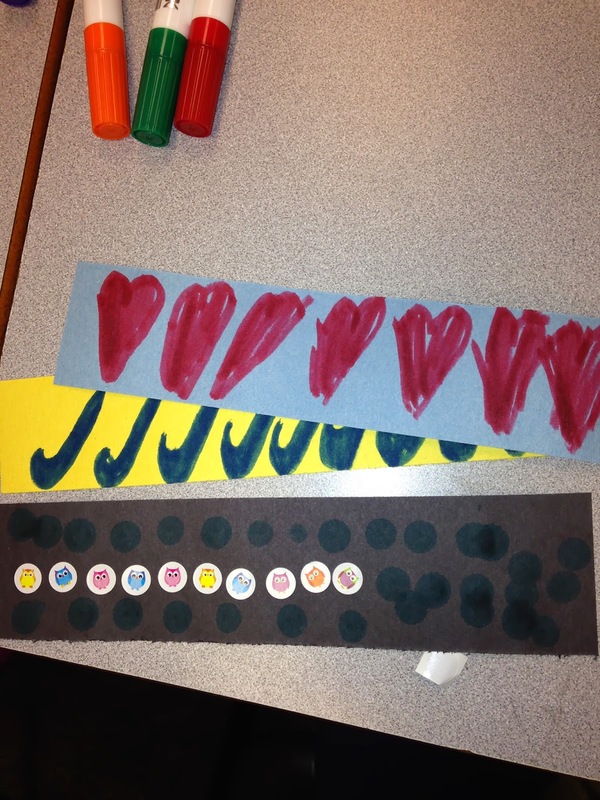 Our families also made posters and we had a little parade around the school this afternoon! 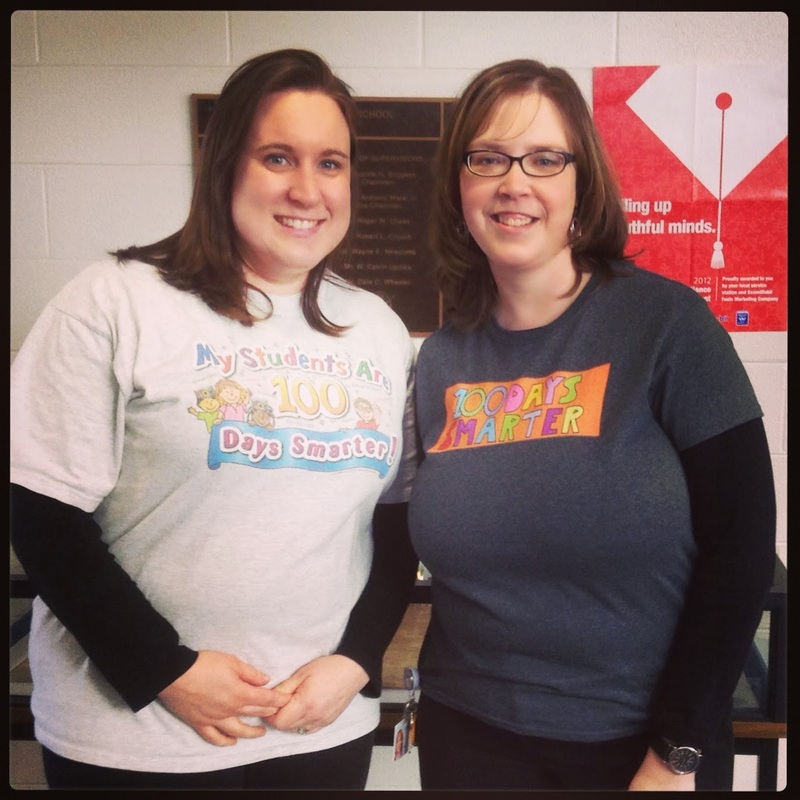 With one of special ed teachers, Leah, in our 100 Day shirts! We also had 100 balloons brought to the school from our nearby Kroger for our celebration. I have some fabulous pictures of the balloons being tossed in the air, but to protect all of our firsties, I am not including those pictures here. They were so excited! 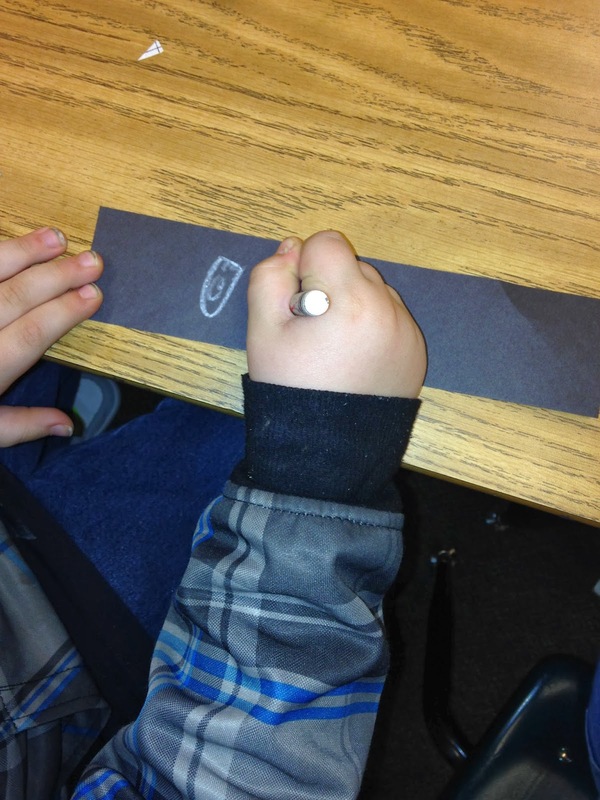 I am linking up with Mrs. 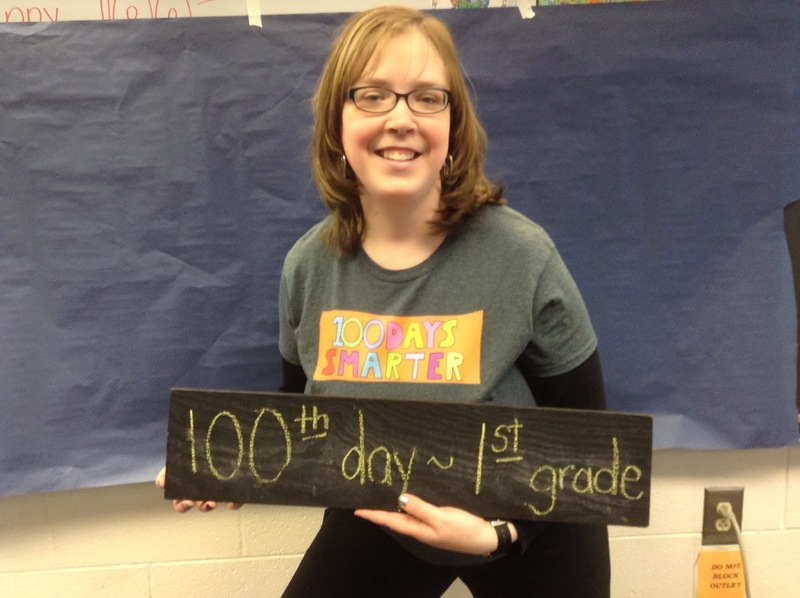 Miner's Kindergarten Monkey Business for my 100 day celebration!